The door is rippled but may be original. The door handle appears to match the handle style used in vintage photographs. The hinge on the fuselage is toast. 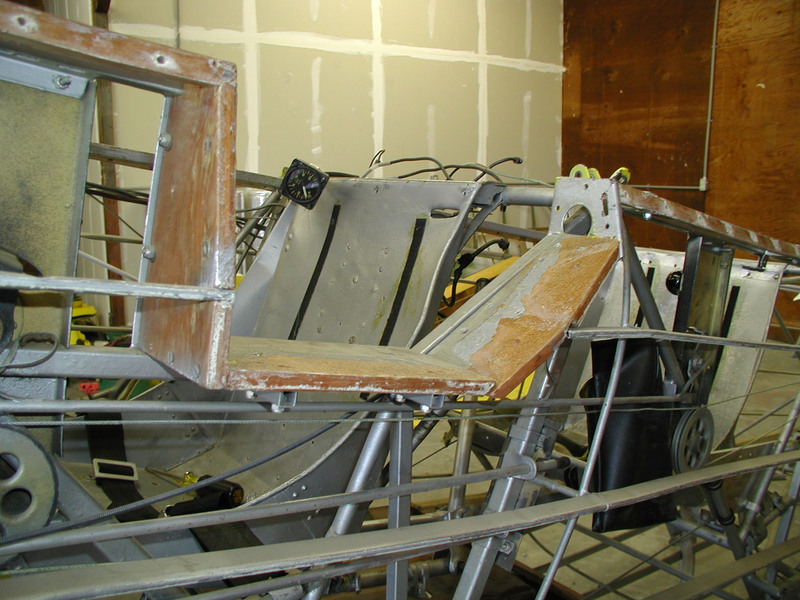 Screws/nuts to the fuselage frame, and too many holes/cracks to be usable. 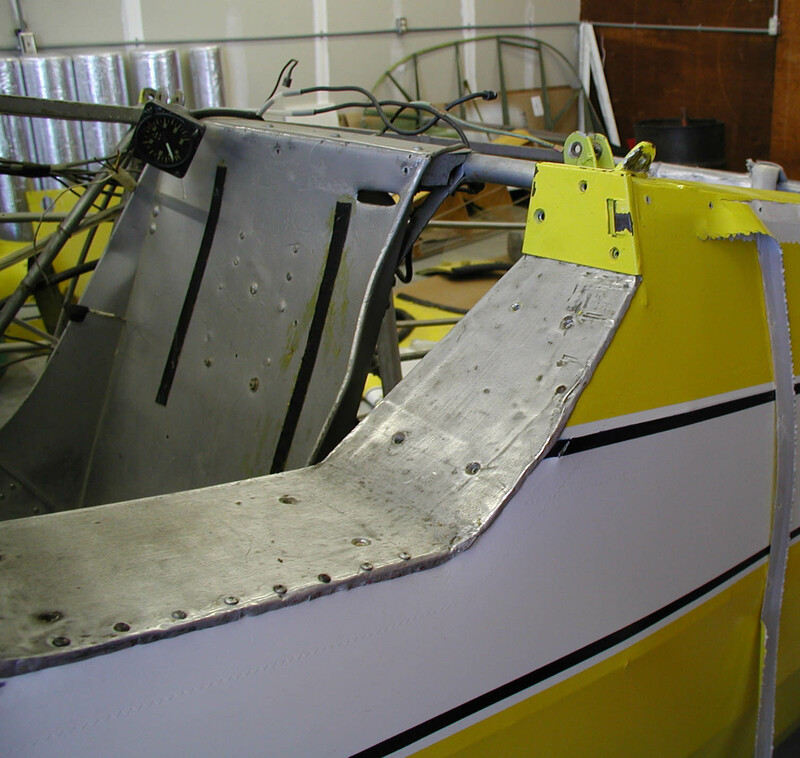 The original hinge appears to be welded to a reinforcement and is very heavy. 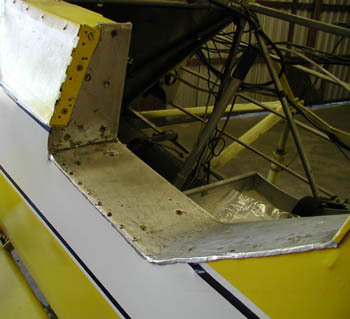 The sill is bent-up aluminum screwed into wood blocks that are in turn screwed/bolted to the frame. The aluminum frame is welded at the bends to fill in 90 degree corners.